With one party working from a canoe on the river and the others from the banks, the group worked along the River Waring from the Town Bridge to the junction with the River Bain. This was followed by a couple of quick sorties alongside Tesco’s and near The Ship Inn. Despite both rivers looking to have stayed reasonably clear of litter during the winter months, the group still collected five large bags of rubbish, a bucket of glass bottles, one scooter, one large advertising sign and an old motor mower roller! 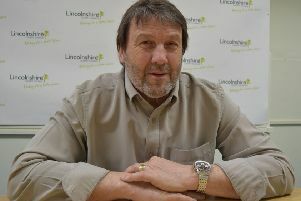 Michael Hieatt, Horncastle RiverCare co-ordinator, said: “It was a good effort. “Thank you to all those who came. “The next RiverCare session will be in about three months time, so please look out for posters in the town and on our Facebook page or ring 01507 525071. RiverCare is a national organisation under the wing of Keep Britain Tidy. It is sponsored by Anglian Water.